The fourth and final club preview is of the Ocean City Nor'easters. They are the 2013 Mid-Atlantic Division and Eastern Conference winners. After being founded in 1996, the club debuted in the 1997 season, it was named the South Jersey Barons. They joined the United Soccer Leagues (USL) as a professional team, competing in the Second Division (two levels down from MLS), which at the time was called the D-3 Pro League. In 1998, in only their second year in existence, the Barons won the Mid-Atlantic Division title. The next year, they followed that up with a second straight playoff appearance and a run to the USISL D-3 national championship game. 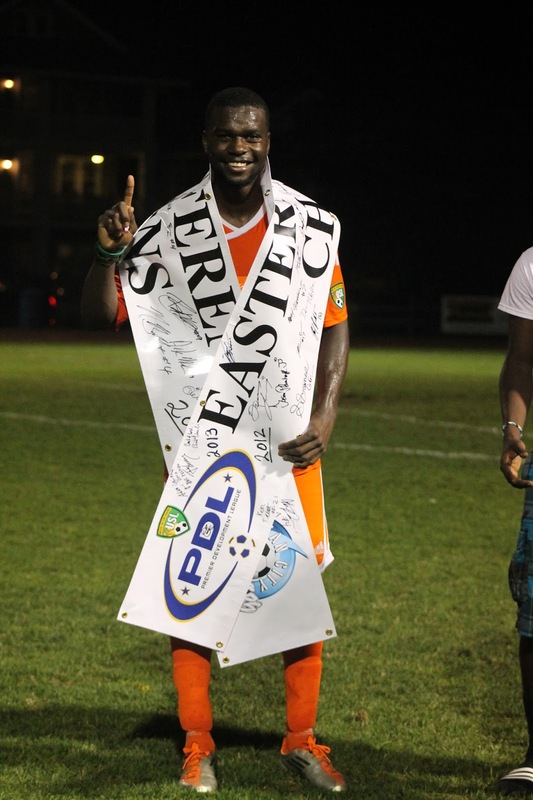 Since joining the PDL in 2003, the Nor’easters have the sixth best regular season record (98-41-39). The Nor’easters most famous Open Cup runs are the 2008 where they came up against DC United in the 3rd round losing 2-1 and this season in 2013 where they travelled to PPL Park to take on the Philadelphia Union. The Union put out a first team that the Nor’easters matched for 90 minutes with many players having breakthrough performances and showing that they are more than ready to take the step into the MLS. A heartbreaking goal in injury time, however, saw the Union win 2-1. However, this attacking strength would not be possible without one of the strongest defensive units we have seen in Ocean City. They are dominant in the air, a goalkeeper that inspires confidence throughout the whole team and a midfield than can break up play as well as physically dominant any opponent. Michael O’Keeffe – Fairfield University – O’Keeffe is the best goalkeeper the club has seen. Quick across his goal, dominates his penalty area and distributes the ball with incredible accuracy. O’Keeffe will not be fazed by the PDL Championship pressure after starting for New Zealand in the London 2012 Olympics and faced a Brazil team of Neymar, Oscar, David Luiz and other superstars. Tapiwa Machingauta – Bradley University – Machingauta has always been seen by us as a top level defender but the US soccer scene took notice after his performance against the Philadelphia Union in the US Open Cup. Machingauta had long time MLS pro Conor Casey in his pocket for the entire game and looked like he was perfect for that area. Ken Tribbett – Drexel University – Ken is a tall central midfielder who has the old fashioned box to box athletic ability being as effective defensively and in the attacking third. He dominated in the air against the Union, creating an assist with a headed knockdown from a corner, and every PDL team in 2013. His level of skill is sometimes overlooked due to his physical presence but his touch, skill and passing is up their with the pros. Dwayne Reid – Bloomfield College – Dwayne “Bullet” Reid (nickname comes from being faster than) came over from division rivals Westchester Flames and added the extra firepower to see us win the Division. Reid ended up as the 5th top scorer with 10 goals and 2 assists and was voted onto the All-Eastern Conference team.